Source: "Celebrations in Islam - in the light of the Quran & the Sunnah & the guidance of the Salaf"
Decorating home with electric strings of light? Can a family decorate the inside or outside of their home with white electric strings of light? 1. This never was a practice of the Salaf or their true followers. 2. It is most commonly known to be the practice of the Christians during the Christmas and New Year period. 3. It is an extravagant practice through which electricity (among other things) is wasted. Because of the above, this practice is not permissible [Haram (prohibited)]. Donations to purchase Eid gifts? Should the masjid solicit donations and purchase gifts in bulk quantity to be distributed according to age and gender? That is of course if gift giving at Eid time is a Sunnah practice. The Sunnah does not support gift exchange for the occasion of Eid. The only exception is sadaqatul-fitr given to the poor on Eidul-Fitr, and part of the sacrifice given away on Eidul-Adha. However, if the gift exchange results in a definite maslahah (benefit) for Muslims that cannot be attained otherwise - such as to bring feelings of pleasure and dignity to the Muslim children on these days, or to make da`wah to the non-Muslims or the weak-hearted Muslims, then it may be done. Still, this should not be made a regular practice consistently associated with the Eid. Pollyanna gift exchange for women and children? Can a Pollyanna type gift exchange be observed for the women and children? This is a method whereby name, age, and gender slips of paper are tossed into a box and then the person draws a name. This name is that of the person for whom the drawing person will buy a gift according to the modest amount of money specified on the slip of paper. This appears to be borrowed from non-Islamic practices. Besides, instead of providing a fair way of gift-distribution, this method seems to emphasize social differences and to cause hard feelings among the children of different financial status. Therefore, this practice is not permissible [Haram (prohibited)]. Can Eid gifts be given to non-Muslim relatives? As long as those non-Muslims are not hostile toward Islam, gifts can be given to them in the Eid or outside it as a form of da`wah and to bring their hearts closer to Islam. Can families exchange Eid greeting cards? In general, card exchange is a non-Islamic practice, and has no justification from the Sunnah. Thus it should be avoided, except in cases where one has to write a letter anyway, and the card seems to serve the purpose conveniently. Obviously, the cards should not contain prohibited texts or pictures, such as the non-Islamic greeting: "Kullu `aamin wa-antum bi-khayr (May you be well each year)". Time of the Eid feast? When should the Eid feast traditionally take place - after the Eid prayer, at lunch-time, at dinner-time...? There is no evidence in the Sunnah for an Eid Feast (or walimah). The Sunnah instructs the Muslims to feed people from the sacrifice, but not necessarily by holding a feast. 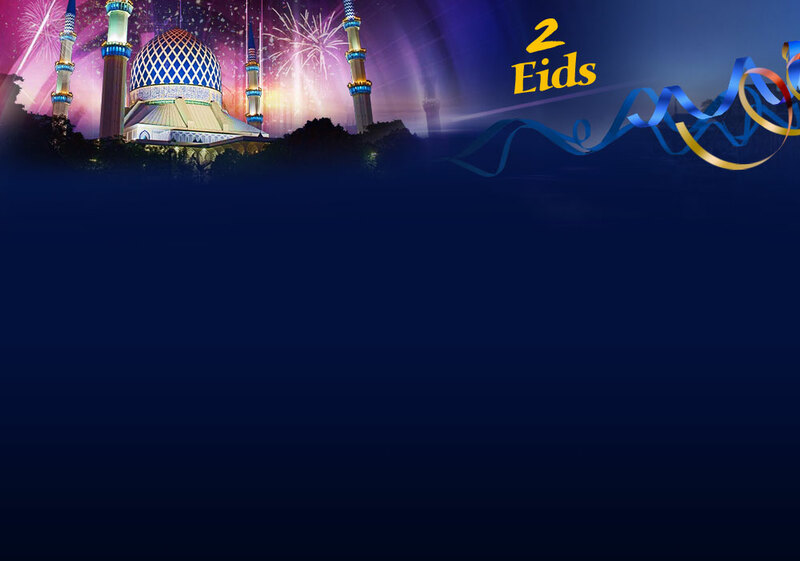 However, to many people, the Eid day is an occasion to meet friends and relatives, and to celebrate together. Feasting is a common celebration practice. So, as long as it is not treated as a religious ritual, and as long as it does not involve extravagance and other prohibited things, then it can be held at any time convenient for people. Is major housecleaning at the time of Eid a ritual borrowed from the Jews? The Sunnah commands the Muslims to clean their courtyards because the Jews do not clean theirs. So, the Muslims should always keep their houses clean, not only for the Eid. There is no apparent imitation here. Suggestions for teen girls' activities? What are some suggestions for teen girls' activities? The boys are always satisfied with playing basketball or some other sport. We want the girls to have some activity other than sitting around eating and gossiping. 4. the girls keep their voices low while they play to preserve their modesty and to avoid attracting the boys' attention. 1. Competing in reading and memorizing the Quran. 2. Competing in reading and memorizing Hadith. 3. Competing in general Islamic knowledge. 4. Making drives to collect donations to help needy Muslims. 5. Teaching younger children basic important Islamic knowledge. 6. Joining the parents in visiting other Muslims for Allah's sake and for Da`wah. Can non-Muslim entertainment, such as the following be considered for the children during the Eid? This practice is mostly meant to change Allah's creation for the purpose of fun. Changing Allah's creation is one of the major sins in Islam. Thus the children should not be encouraged to like this practice, even to the slightest degree. This is mostly a non-Muslim practice, and should be largely avoided - especially as it is getting to a point to become a constant practice that the children and parents associate with the Eid. Can vendors setup tables and sell their goods on the Eid? There is nothing to prohibit this. Should the women pray the afternoon and evening salah with the men outdoors in the open - if no suitable tent or sheltered private area can be provided? Women are instructed by the Prophet (peace be upon him) to pray in the innermost rooms of their houses. If they are outdoors at prayer time (which is an exceptional situation), the women should be sheltered in such a way that no men would be behind them or to their sides watching them while they pray, especially in ruku` and sujud (bowing and prostration). If this cannot be fulfilled in Jama`ah with men, then they should hold their own Jama`ah or pray individually. Can Islamic songs be sung? If so, what is the cut-off age for young girls performing in front of mixed gender crowd? The Sunnah of the Prophet (peace be upon him) indicates that it is permissible for young girls (under the age of puberty) to sing during the Eids. This singing should be with Islamically acceptable words, and should not be accompanied with any musical instruments except for the duff. Their singing should also be within a limited circle of parents, relatives, and friends to preserve their shyness and modesty.